← Yugo. The “The Jerk” of cars. 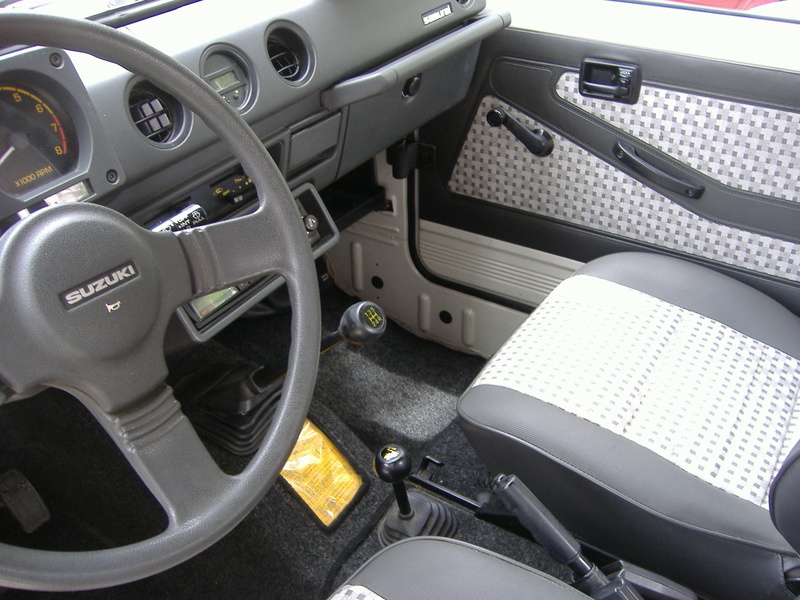 This Suzuki Samurai is well-preserved to say the least. 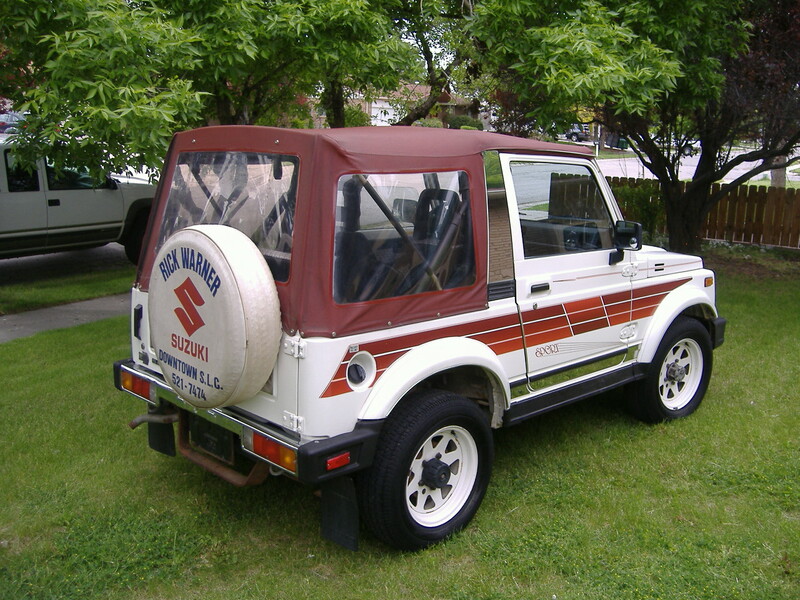 It is in amazing condition for an early Samurai. Most rotted away, rolled over, or have been upgraded beyond the point of recognition. The seller of this one claims its purpose has been to serve as a tow-behind vehicle for RVing, so a portion of the 42k miles was not even under its own power. Find it here on ebay. 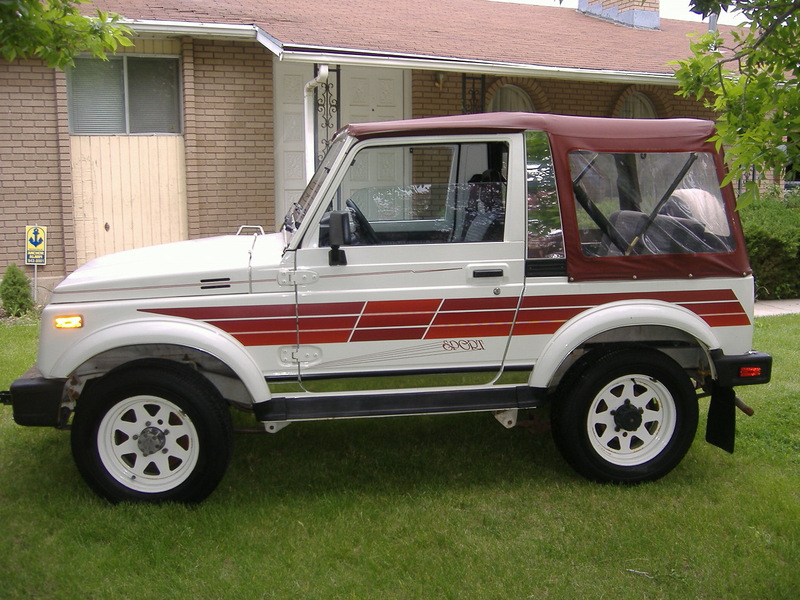 Samurai were a low-cost alternative to the mainstream Jeep when they were released. Base price was around $6500. They quickly developed a following in the US. They were able off-roaders due to their size, weight, and their 2WD/4WD/4LO transfer case. Attractive styling also contributed to their popularity. This one looks great with the sport livery, which includes enough graphics, striping, chrome, and lettering to immediately transport you back to the ‘80s. It even has a cassette player, so dig out your Great White and Violent Femmes tapes and go cruising. This entry was posted in Gems from the Dark Years (1971-1987), Japanese. Bookmark the permalink.